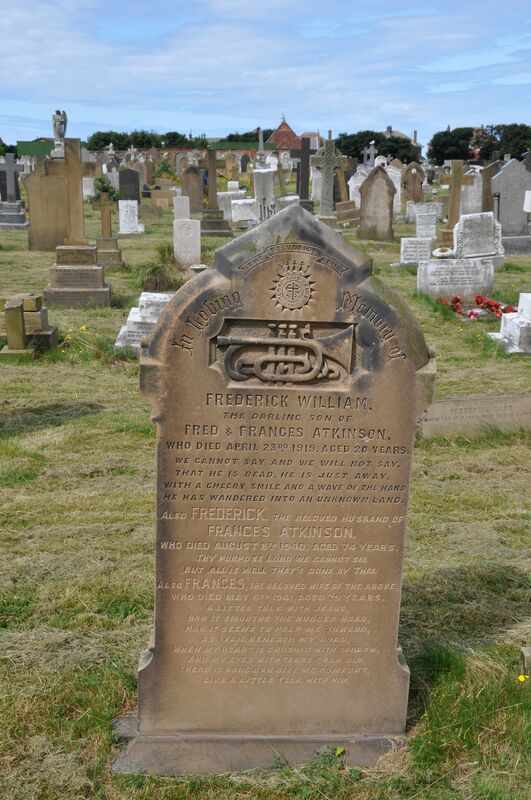 This headstone in Fleetwood Cemetery marks the passing of a Salvation Army musician – Frederick William Atkinson – who died on April 23, 1919 aged 20 years. 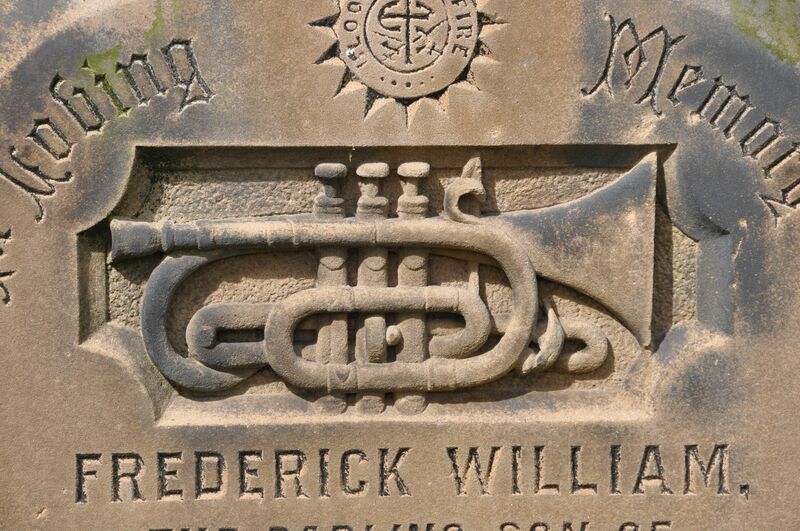 Under the Sally Anne badge, the mason has chisled out a cornet to mark the departed’s musicianship. 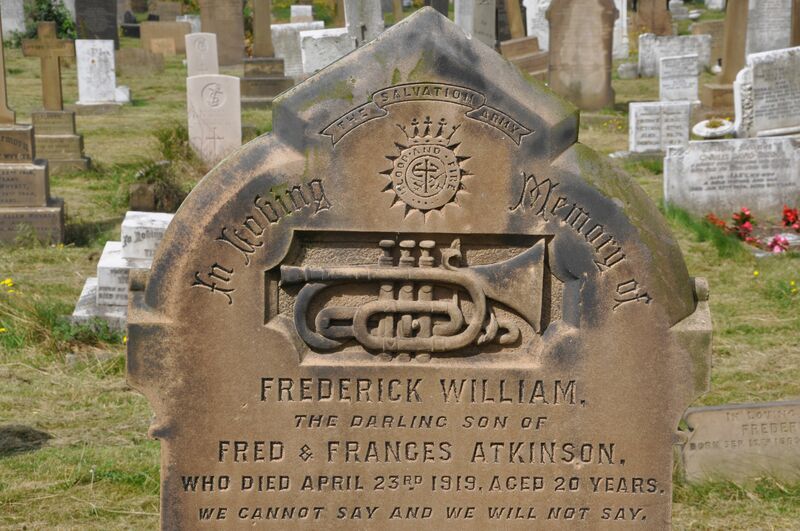 “We cannot say and will not say.